Centuries ago people healing spices and natural remedies were the only way that people were able to heal. Then modern medicine started taking over and people depended on doctor's and over the counter cures. We're starting to see a trend of people moving back to the natural remedies that our ancestors once relied on. Spices have healing agents that can help with things as simple as common colds to things like immunity. Because people are starting to use spices to treat ailments they need information that is going to help them decide which ones they need to use. 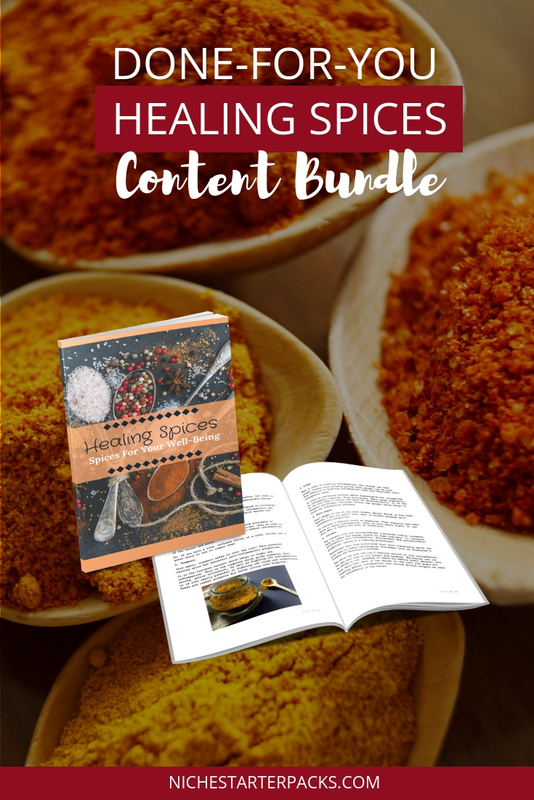 The content you'll get in this PLR pack provides tons of informational value to your audience, but that isn't all! It also has profit potential with different types of products that you'll be able to recommend. What I like about spices is the fact that they serve so many purposes - one being that you add them to your food and it goes from bland to amazing. So with this bundle you'll also be able to earn affiliate income with products you recommend. Spices can range in price from $1 to $15+ so that makes it a great item to promote as an affiliate. Take a look at the image below. This is over $20, plus has 897 reviews with an average of 4.5 stars. So people are definitely looking and buying this type of product. You'll get 10 high-quality articles that you can use on your website or blog to appeal to different niches such as a mom blog, health and wellness or a lifestyle blog. 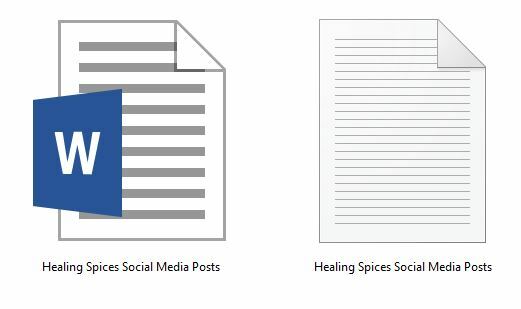 Done-For-You Healing Spices Content Bundle (Report, Articles, Royalty Free Images, Keywords, Social Media Posts) – Get It All For $27! Section 1 – 27-Page eBook, "Healing Spices: Spices For Your Well-Being"
Cayenne – The Ultimate Healing Spice? 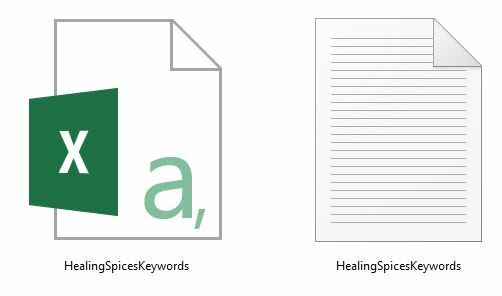 I’ve come up with 200 long tail keywords all related to healing spices in general and specific spices that are talked about in the pack such as cayenne and turmeric. There are also keywords that talk about boosting brain health and helping immunity. You’ll find some of these are what people like to call low-hanging fruit keywords while others have more searches. 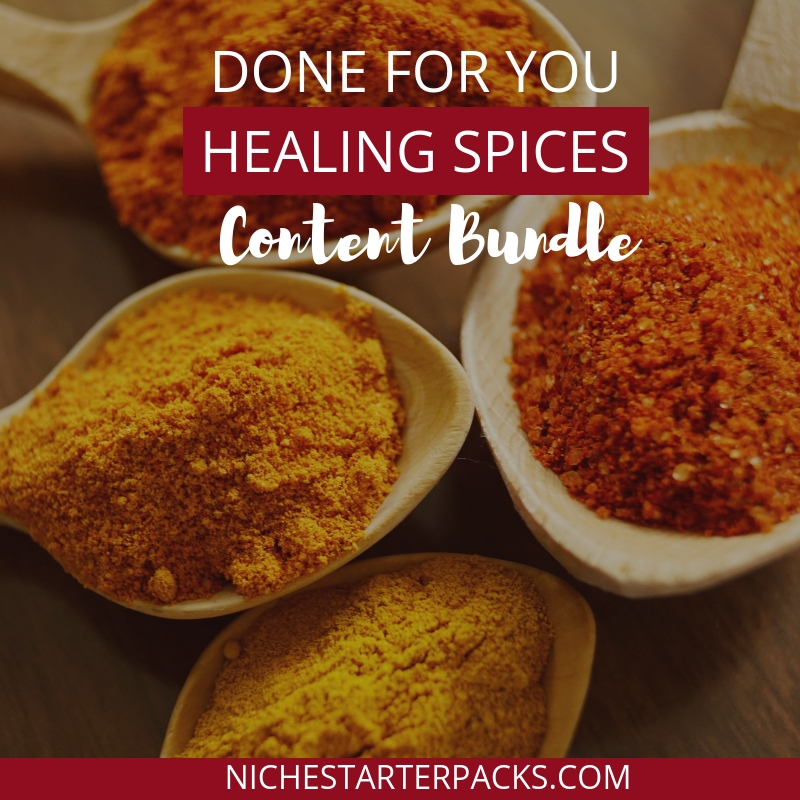 Done-For-You Healing Spices Content Bundle (Report, Articles, Royalty Free Images, Keywords,Social Media Posts) – Get It All For $27!